Microsoft Visio 2010 takes diagramming to a new level with dynamic, data-driven visualization tools and templates, enhanced process management capabilities, and advanced Web sharing. Bring real-time data together from multiple sources, including Excel and Microsoft SQL Server, in one powerful diagram using vibrant graphics like icons and data bars. Manage processes with sub-processes and rules and logic validation to ensure accuracy and consistency across the organization. Create SharePoint workflows and export them to Microsoft SharePoint Server 2010 for real-time execution and monitoring. Share refreshable, data-linked diagrams over the Web with anyone, even those who don’t own Visio. Whether you are creating a diagram from scratch or modifying an existing one, Visio 2010 helps you add and align shapes easily and accurately, with features such as the Quick Shapes Mini Toolbar, enhanced dynamic grid, page Auto Size, and automatic alignment and layout adjustment. Add clarity to diagrams using Subprocesses and Containers to group related shapes visually and logically. As a diagram grows larger or becomes more complex, Subprocesses and Containers help you to keep information more organized and understandable. 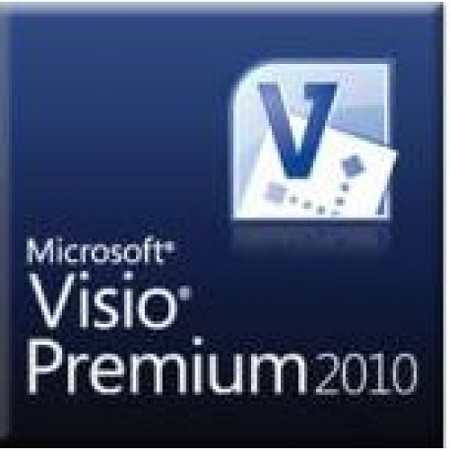 Visio 2010 helps you make diagrams look attractive with a wide range of formatting tools and design options, including modern shapes and visuals, a rich gallery of themes, and Live Preview. See the entire picture with dynamic, data-driven diagrams. Simply connect your diagram to one or more data sources such as Excel or SQL Server. Then, display real-time data right within your diagrams, based on conditions you define, using vibrant colors, icons, symbols, and data bars. Easily share dynamic, data-linked Visio diagrams in Microsoft SharePoint Server. Online users can see your real-time information in their browsers at a high level, right on the diagram, or delve into the details—even if they don’t own Visio. They can pan and zoom in the diagram, follow hyperlinks in shapes, and refresh the data. Check for common errors and support diagramming standards across your organization using diagram validation. With one click, you can validate a diagram against a set of rules to make sure it’s logical and properly constructed. Create and monitor SharePoint workflows more easily than ever with a new, advanced template that contains SharePoint workflow rules and logic, and supports the ability to export and import workflows between Microsoft SharePoint Designer 2010 and Visio 2010.